Were you dreaming of a trip to Utah this year? Maybe Arches or Zion? Forget it—you don’t need those crowds. And you can find the same high-desert mesas, perfumed sagebrush, and painterly orange spires in Oregon’s very own Owyhee Canyonlands, tucked away near the Idaho border. 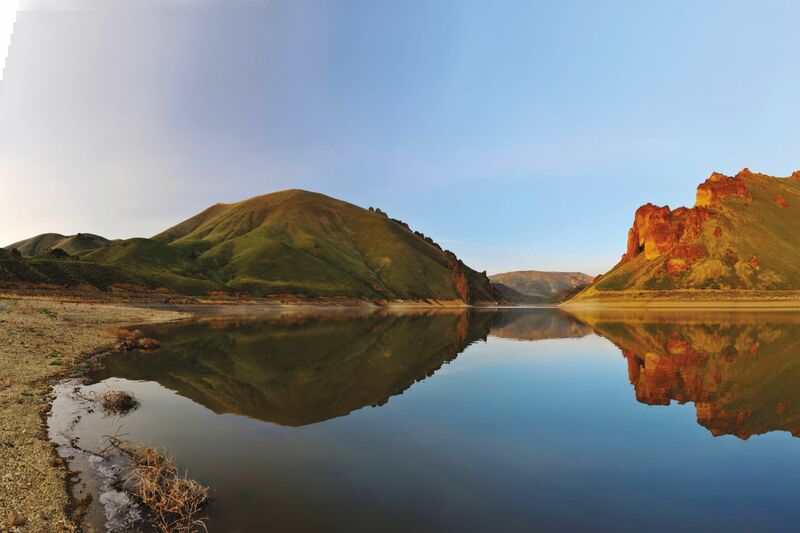 This short, remote loop travels through steep canyons and towering pinnacles, meeting at the Owyhee Reservoir, a massive oasis in the desert, where you can refuel and make camp. Water is scarce, access roads are rough, and signage is nearly nonexistent. But it’s all worth it: there are few places in the country that afford this level of solitude. DIRECTIONS: From I-84, take exit 374 for Highway 201 south. Continue to Nyssa, turning left on Highway 201 south. The highway turns to the east and becomes Highway 19 into Homedale. There, follow the signs and take Highway 95 south. Continue for 18.7 miles to McBride Creek Road. At this point it’s important to restart your odometer. Turn right and follow it for 6.3 miles to Succor Creek Road. Take the first right to stay on Succor Creek Road, and then continue for 6.6 miles to McIntyre Springs Road. Follow the McIntyre Springs Road straight, keeping the scenic Three Fingers Butte on your left until a junction at 5.25 miles. Turn right. Continue for another mile and turn left at another junction. Head another mile and keep left at another fork. Finally after 11 miles, turn left for the final quarter mile to a dilapidated cow trough and your trailhead. Park your vehicle. Check out 7 other great Oregon hikes.